Country to country business deals, etiquette and culture varies. Before starting a business one has to understand the country and its business culture do know things and penetrate into the market really well. 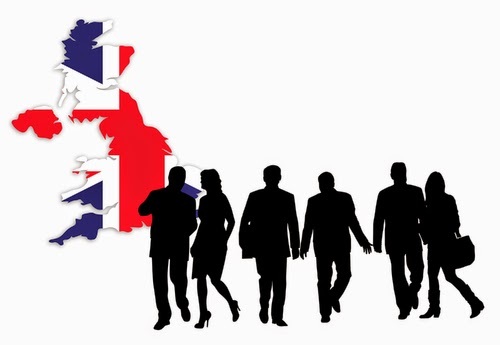 United Kingdom is one of the leading countries in the business world that offers many successful business prospects to companies and nations. England, Scotland, Wales, and North Ireland are countries which make up the whole of United Kingdom. This geographical distinction creates a sense of patriotism between these four countries and presents them as one nation.UK is the abbreviated form used for United Kingdom. The citizens of UK are referred to as the British and the ones from England are called the English. The capital of UK is London which is the country’s largest city in terms of population. It is also one of the most influential centers in the world of politics, finance and culture. The British are rather old fashioned as many of their older generation still prefer to work with associates they have known or are known by the people surrounding them. Most companies which are successful include an elder statesman on their team as an authoritative figure who can present and make good relations with other companies. The people of UK are formal and reserved in their style of communication especially to those who they do not consider up to their rank or class. The natives are very rank conscious and their style of meeting and communicating may only change when they meet someone they know well. The characteristic of punctuality is much valued in Britain and is especially significant in business situations .Time is essential in meetings, and in most cases people are on time. If a person is running late then it is appreciated if they are notified beforehand. If the authoritative figure is attending the meeting then it would be a very formal gathering where the person in charge would be the center figure who would be talking and directing. However if the ranked person is absent and everyone is on the same level, there is generally more freedom of speech. At a business meeting it is required to shake hands with everyone present; men and women and again at the time of leaving. Handshakes should be kept light not firm. While making a presentation a person should be sure to maintain eye contact with the people in the room and should be very up to the point. They should appear professional and be ready to provide any backup to their claims and facts. After the meeting has been successfully executed a letter should be sent discussing what took place in the meeting and the next steps to be taken. The business dress for the average person in UK is somewhat formal and conservative in style. Mostly suits are worn in dark colors. Men’s shirts do not have pockets; their ties should not be striped and instead should be of solid colors. They are required to wear laced shoes. Women are also expected to dress up conservatively. Titles such as Mr., Mrs. or Miss are used in business situations. Only doctors, the clergy or people who are knighted use their titles. Before starting a business, people in the UK are required to choose a structure which will identify their legal responsibilities. They have to deal with the matter of paperwork, taxes, personal profit and the responsibility of loss. The main types of businesses are: sole trader, limited company and partnership. A sole trader is a person who works for himself and is the one who is responsible for all loss and gain. He as no one to answer to and can employ as many people as are required to run the company. Limited companies are usually shared by the directors and are organizations that are responsible for everything it does but its finances are separate and so are the personal gains. Business partnerships are formed between two or more parties who share responsibilities for their gains and losses. In business settings gifts are usually not exchanged. If invited to someone’s house a small gift of flowers, chocolates or wine is expected. It is also liked if flowers are sent. To conclude, it would not be wrong to say that the British are a very different nation from others as they do not only differ in nature and culture but also in terms of business ventures. It is thus preferred to learn their style of dealing before starting a business in their country in order to do well and succeed. The Academic Papers UK is a dissertation writing services provider company which has expert finance and marketing professionals. If you want to do a business in United Kingdom and you need tips then you can talk with professionals. Meanwhile if you need dissertation writing service then company will provide you the top quality expert services.